At CES 2017, Japanese consumer electronics giant Toshiba expanded its Portege laptop portfolio to launch a 2-in-1 offering – Portege X20W – one of several shown off at CES already. The pricing details of the 2-in-1 have not been announced yet. The Toshiba Portege X20W will go on sale in Slate Grey soon via the Microsoft online store in the US, while the Onyx Blue model will be made available through the Toshiba website before the month end, notes The Verge. The Portege X20W convertible’s main highlight is touted to be its 16-hour battery life. It is 15.4mm thin and weighs less than 1.13kg. The laptop has a 360-degree hinge that lets you use it in four different viewing modes – Laptop, Tablet, Tabletop, Presentation, and Audience. It has two IR cameras that support Windows Hello facial recognition. As for the specifications, the Windows 10 Pro-based Toshiba Portege X20W sports a 12.5-inch full-HD (1920×1080 pixels) multi-touch wide angle display with Corning Gorilla Glass 4 protection. It is powered by a seventh generation Intel Core processor, however, no RAM details have been provided yet. Ports on board include one USB Type-C port, one USB 3.0 port, Thunderbolt 3 port, and a 3.5mm audio jack. 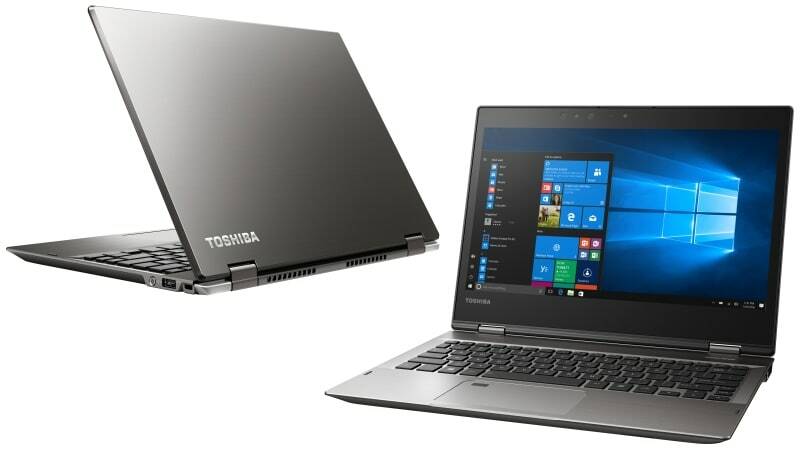 The Toshiba Portege X20W comes with a TruPen, which uses Wacom Feel technology and “can detect 2,048 levels of pressure, perfect for taking notes, drawing on webpages in Microsoft Edge and using Windows Ink,” Microsoft said on its blog. The Toshiba Portege X20W sports Harman Kardon stereo speakers that are said to adapt to the rotational view of the display, and it also comes with DTS sound software. The laptop is compatible with the company’s Toshiba WiGig Dock and Toshiba Thunderbolt 3 Dock, which will be available later this quarter.